Social media giant Facebook Inc reported a 52 per cent jump in revenue for the fourth quarter ended December 31, 2015, powered by its mobile business. Total revenue for the October-December period rose to $5.84 billion from $3.85 billion a year earlier. Net income more than doubled to $1.56 billion from $701 million. The remarkable growth is due largely to the 57 per cent increase in ad revenue. The share of mobile ad revenue to total ad sales grew to 80 per cent from 78 per cent in the third quarter and 69 per cent a year earlier. The company said the number of monthly active users increased 14 per cent from a year earlier to 1.59 billion. 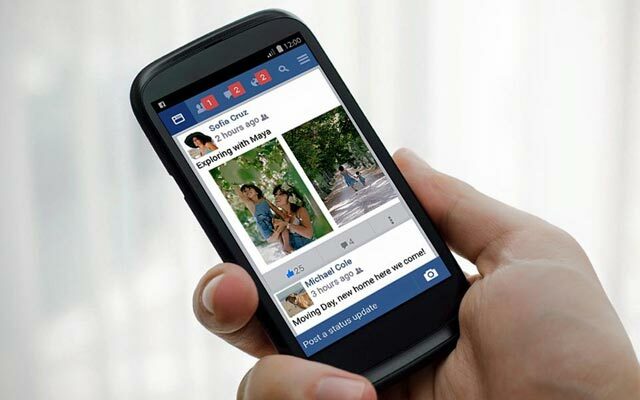 Of those, 1.44 billion users access Facebook on mobile (up 21 per cent). The average revenue per user jumped 26 per cent to $3.73. "Heading into 2016, it is clear that consumers have shifted to mobile and businesses know they need to catch up. Marketers now realize that if they want to reach their customers where they are, mobile is essential," Sheryl Sandberg, Facebook's COO, said during an earnings conference call. Facebook also said its 2015 revenue rose 44 per cent to $17.93 billion. Net income grew to $3.69 billion from $2.9 billion. CEO Mark Zuckerberg said the company is working on improving its Facebook Lite app, which has more than 80 million users, for regions with low bandwidth availability.